ABBYY FineReader 14 - download in one click. Virus free. 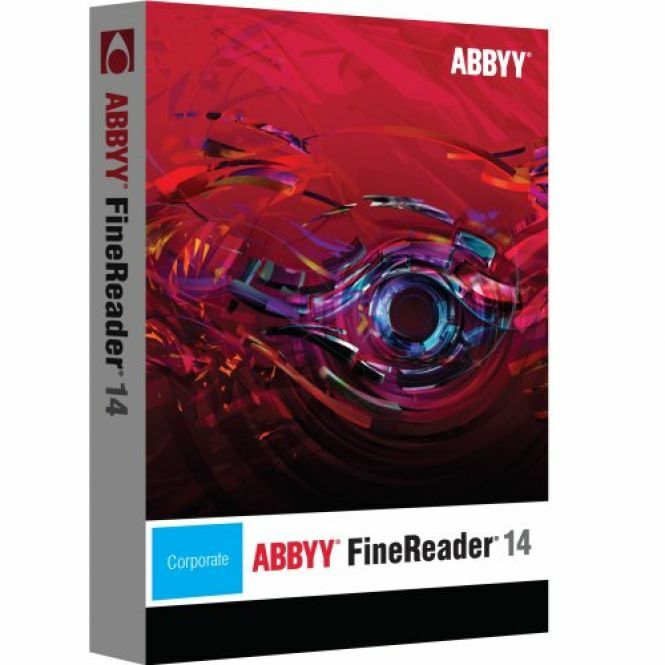 Download the latest version of ABBYY FineReader 14 with just one click, without registration. It is a standalone setup package that contains the full offline installer for ABBYY FineReader 14. ABBYY FineReader 14 is a new release of the popular OCR software from ABBYY. Now it works even better with the recognition tasks and allows you to work extensively with your PDF documents. The new version has a clear and user-friendly interface with all the new tools seamlessly integrated into it. Even if you've never used ABBYY Finereader before, mastering it won't be a problem, as long as you have used any office software in the past. As mentioned before, the latest update not only improved its character recognition features - as ABBYY proudly claims, its software is accurate 99.8% of the time and needs almost no manual corrections. It precisely extracts tables and charts, provides useful proofreading tools, and can learn new characters, so you can train the application to recognize any specific content you need. What's more, ABBYY Finereader 14 enables you to work with PDFs with all capabilities. Search your PDF document (even scanned one! ), edit it as you wish, use its contents in your work. 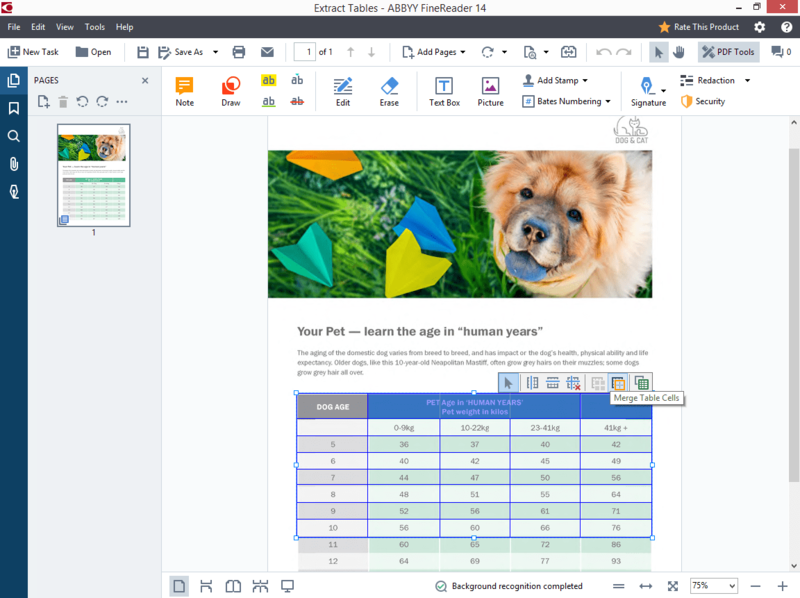 There's also a comparison tool, which works even between different formats so that you can identify changes, for example, between Word document and its printed-and-scanned PDF version. 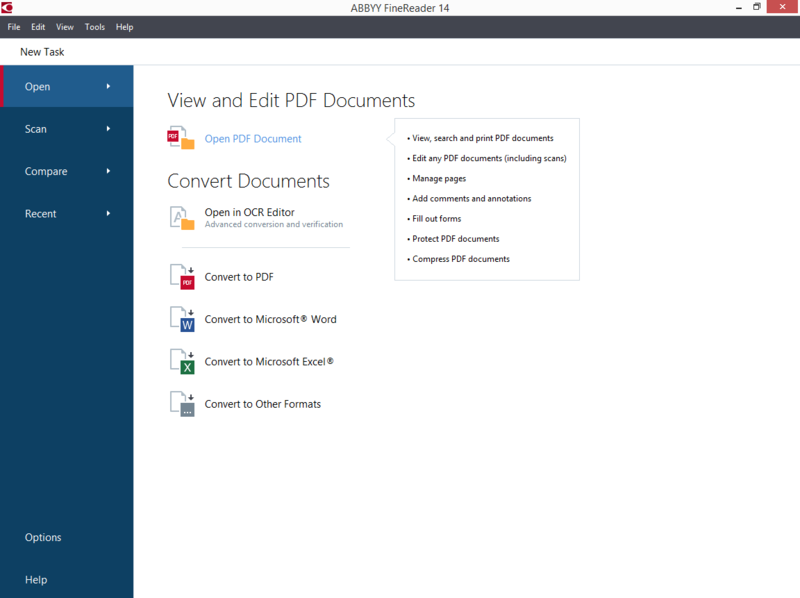 Finally, the new ABBYY software provides you with Hot Folder - automatization tool to convert significant amounts of scanned documents or images into recognized text. You can schedule conversion of such documents, adjust settings to your preferences, use folders on FTP servers, network or local drives, and even in your mailbox. The software has three versions to choose from: Enterprise being the fullest one with all the tools, Corporate - without extensive automation features, and Standard with no comparison and automatization tools at all. Saving the conversion results after applying OCR for 100 pages in total and 3 pages per document.